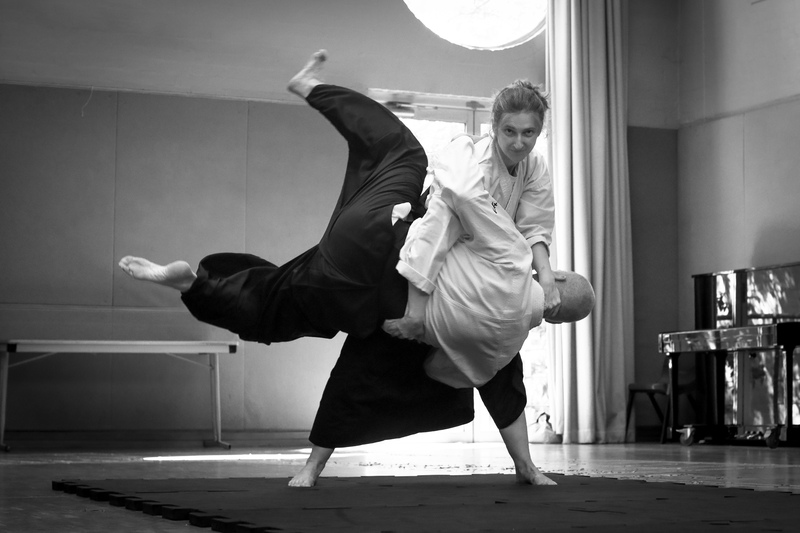 On contact with Uke the conflict is over – the rest of aikido Kata is just exploration!. Kuzushi is a term for where Uke’s balance is taken and broken, where ukes centre is gathered and held. The techniques of Aiki are explorations of taking balance with pushing and pulling, and then leading Uke through movement to projection or pin. The many varieties of attack and initial contact give rise to infinite possibilities, of which the Kata of Aikido explore many in a systematic manner. Kuzushi may pin an uke to their feet with their own power or raise their center up, a storing of energy awaiting release. Basic body mechanics and the footwork of Kata provide the clues to explore Kuzushi with Uke. There is a lot of science behind Kuzushi (See Aikiphysics II – Biomechanics of Throwing), but nothing is as compelling as experiential learning with a partner. ← I got my Black Belt, now what?